The dancehall hitmaker Konshens drop off some new charts for his new single “Bubble Gym”. The track was produced by Hitgruves and Subkonshus Music, while the cut was directed by RD Studio. The video starts with a woman hitting the gym and getting ready to put in her headphones to tune into dancehall music. She was instantly pulled right into the music, like Konshens is/was right by her ears singing the lyrics. “Gal bring that bumper over here so / She say yes baby if you say so / The little go-go mi feel fi pay yo / Gal how yo wind yo waist so,” Konshens sings. This new summer hit comes at the same time as Konshens joins a few elite reggae/dancehall on the record of 160 million views for a video on YouTube. The Subkonshus deejay’s hit “Bruk Off Yuh Back” has now passed over 160 million views on YouTube. Konshens is the only dancehall star outside of Sean Paul and Damian “Jr. Gong” Marley to reach these stats. Sean Paul is the only Jamaican artist to have, so far, a song that received over a billion views. For instance, his collaboration with Clean Bandit and Ann Marie “Rockabye” has 2 billion views. Konshens is once more proving that he is a strength to be counted within dancehall locally and overseas. 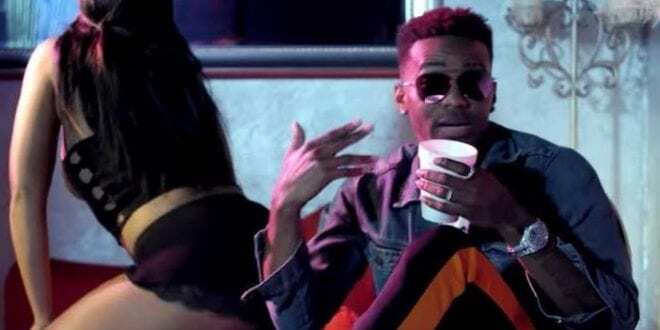 “I have different songs that are huge in different markets and opened up markets for me globally, but this song is surely one that has connected in every market globally,” Konshens said. “Bruk Off Yuh Back” was released in 2016 and became an instant global hit. The track was one of the biggest records in 2016 and in 2019 it is still in heavy rotation in clubs, parties and festivals. Birchill Records produced the single while Dameon Gayle directed the video clip. In 2017, Chris Brown released a remix for “Bruk Off Yuh Back” and although it didn’t do as good as the original one, his presence helped to push the song even more. Koshens said that this release “put his name in certain conversations and on certain scenes that it was not in before”. Even while making moves overseas, Konshens admits being fully focused on “elevating the music of Jamaica and binging the dancehall to its rightful prominence within the global music sphere”. He is trying to “bring the dancehall back to the glory days – the Sean Paul days, the Shaggy and Beenie Man days”. After releasing his mixtape “Raw” *, full of dancehall hits, Konshens finally will be on tour around the stages of the world to present his work. The artist will start his “Raw” tour in North America, this April. The first concert will be on the 5th of April, in New Haven, following to Bronx, Manhattan, Philadelphia, Queens, Houston and Kingston. On the 3rd of May Konshens will pass by Buffalo heading next to Fairfax, Pichering, Montreal, Quebec, Brooklyn, Vancouver, Victoria and North Folk. On the 1st of June, the artist is in Los Angeles and on the 8th of the same month he goes to Seattle. As for the European dates, it is already announced that the artist will be in Belgium on the 9th of August. The horses have been released, so don’t wait to get your own tickets before they sale out. More dates are yet to be released and the tickets are available in his official website.